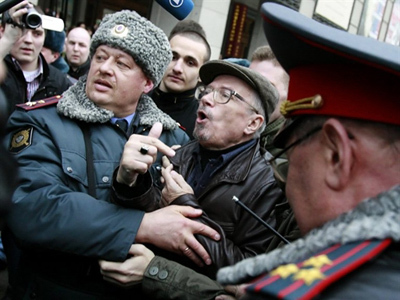 Moscow authorities have sanctioned a rally in support of the Constitution in the city center on March 31. It is expected to gather around 3,000 participants. 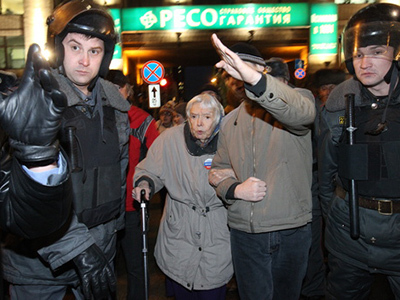 ­The rally is being organized by the Moscow Helsinki Group headed by human rights activist Lyudmila Alekseeva. Although they requested permission to hold both a rally on Pushkinskaya Square and a march into the heart of Moscow, they were only given the go-ahead for a rally. However, Alekseeva noted that the Mayor’s Office failed to respond to their request in time, so the activists have the right to march all the way from Triumphalnaya Square to Pushkinskaya Square. Similar rallies have been held on Triumphalnaya Square. Their aim is to draw attention to Article 31 of the Constitution which provides for the freedom of assembly. However, gatherings on Triumphalnaya Square were not authorized by former Moscow mayor Yury Luzhkov. The situation changed last October, when the opposition rally was sanctioned by city authorities for the first time. The rallies are part of the so-called Strategy-31 and take place on the 31st of every month with 31 days. It should be noted that initially several opposition groups adopted the strategy but later they divided on ideological grounds. 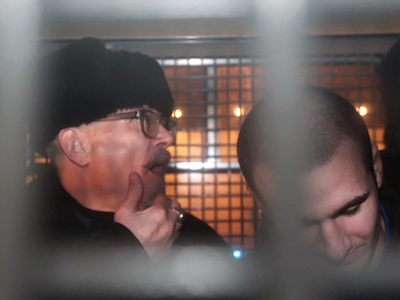 The head of the Other Russia party, Eduard Limonov, and coordinator of the Left Front, Konstantin Kosyakin, accused Alekseeva of making concessions to the authorities and betraying their cause. The Moscow Helsinki group has held three authorized rallies so far – in October, December, and January, agreeing to the Moscow government proposal to reduce the amount of participants, a compromise the other opposition leaders would not accept. So all three times unsanctioned rallies were held along with the authorized gatherings. They were all suppressed. 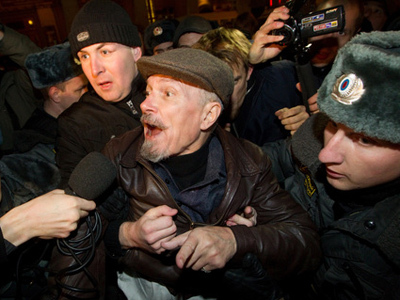 This time Limonov and his supporters once again plan to come to Triumphalnaya Square. Their request to hold a rally there was turned down due to repair work underway. An alternative site was offered to them but Limonov insists on the right to gather on Triumphalnaya Square.